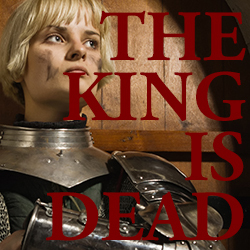 The king of Banteave, Eyvard III, high prince of House Dillestone and Sovereign of the Seaward Coast, has died without heir. Civil war is certain. You’re a young warrior prince or warrior princess of one of the royal houses of Banteave. You’re caught up in this looming war of succession. To see your house exalted, you’ll have to fight and scheme, allying with your rivals and betraying your friends, falling in love with your enemies, daring danger, adventure, romance, and war. Fight with your friends. Ally with your rivals. Fall in love with your enemies. To play, you’ll need 3–5 players, a copy of the playbook for each, and a deck of cards. 1-3 hours, ages 15+. This download includes three versions of the game file: a standard 1-page-per-page version for screen use, a flat spreads version for basic printing, and a zine layout version for printing as a booklet, including covers.